Dinosaur Comics - June 12th, 2013 - awesome fun times! –"Dang, that guy is ruining my name," he muttered to himself. 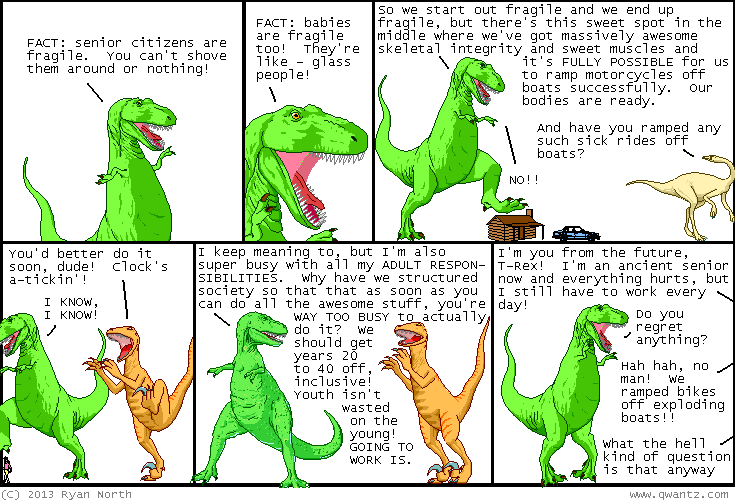 One year ago today: in this comic, albert einstein was a dinosaur. if you compare this to reality, reality may come up wanting, and i sympathize.